Teaching our children together for a brighter future at St. Matthias – a place for fun, a place for learning. 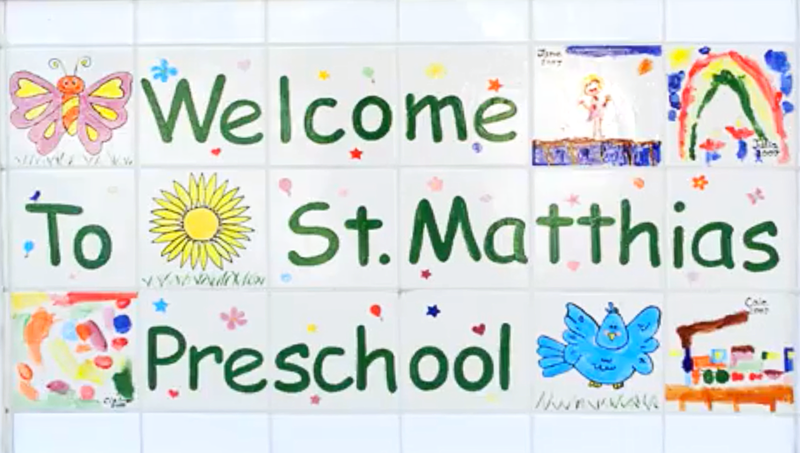 St. Matthias Preschool provides an early childhood education program for children from 2½ to 5 years of age. Our program enhances their social, emotional, spiritual, intellectual, and physical development through our planned curriculum and activities. As a Catholic Preschool, we aim to provide age-appropriate faith formation. The dedicated and professional staff fosters prayer, teaches caring and respect while learning the love of God. In this way, we develop in each child a sense of self-confidence, a sense of creativity, and encourage cooperation with others with the feeling of love and warmth that God has given us.